Once upon a Kellogg’s breakfast, the magic of Disney came to life. Look inside the box of any specially marked Kellogg’s cereal products (as displayed below) to find the KFR promotion code. 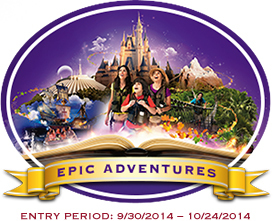 Then, enter it at kfr.com/disneyparks to receive one (1) entry into the sweepstakes for the applicable entry period. Please note that non-winning entries in any of the periodic Sweepstakes will automatically roll over into any subsequent drawings. 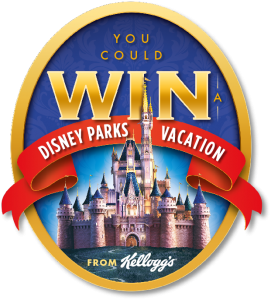 Each specially marked Storybox package of Kellogg’s cereal gives you a chance to win your choice of one of three uniquely themed Disney Parks vacations. Disneyland Resort. Four (4) round trip coach air fares between the major gateway airport closest to winner’s residence and a Southern California airport as chosen by Disney (with possible layovers); provided, however, if the winner resides within 250 miles of the Disneyland® Resort, air fare will not be provided to the winner. A voucher for four (4) round trip ground transfers between the Southern California airport and the Disneyland® Resort. Room accommodations consisting of one (1) standard room (with a maximum of four (4) persons per room) for four (4) nights at a hotel at the Disneyland® Resort selected by Disney in its sole discretion; daily parking at the Disneyland® Resort is not included. Four (4) Disneyland® Resort 5-Day Park Hopper® Tickets (subject to restrictions). One (1) Disney Gift Card with a value of $600.00 (winner only). One (1) Welcome Basket in your Disneyland® Resort hotel room. Choice of any Disney PhotoPass™ Service products, valued up to $300.00; fulfilled with a Disney Gift Card (online registration required). One (1) one-day Adventures by Disney Lights! Camera! Magic! Tour of Hollywood for four (4) persons. Services of one (1) Disney VIP Tour Guide for eight (8) hours on one (1) day. The approximate retail value of this vacation package is $8,498.00. Walt Disney World® Resort. Four (4) round trip coach airfares between the major gateway airport closest to winner’s residence and the Orlando International Airport, provided, however, if the winner resides within 250 miles of the Walt Disney World® Resort, air fare will not be provided to the winner. Four (4) round trip ground transfers between the Orlando International Airport and the Walt Disney World® Resort via Disney’s Magical Express Service. Room accommodations consisting of one (1) standard room(s) (with a maximum of four (4) persons per room) for four (4) night(s) at a hotel at the Walt Disney World® Resort selected by Disney in its sole discretion. Four (4) 5-Day Magic Your Way Tickets with Park Hopper® Option (subject to restrictions). One (1) Disney Gift Card with a value of $500.00 (winner only). One (1) Welcome Basket in your Walt Disney World® Resort hotel room. Choice of any Disney PhotoPass™ Service products, valued up to $300.00; fulfilled with a Disney Gift Card. (online registration required). Walt Disney World® Resort Guided Tour experience for four (4) persons selected by Disney in its sole discretion; subject to availability; age restrictions apply. Services of one (1) Disney VIP Tour Guide for eight (8) hours on one (1) day. The approximate retail value of the vacation package is $10,107.48. Disneyland® Resort. Four (4) round trip coach air fares between the major gateway airport closest to winner’s residence and a Southern California airport as chosen by Disney (with possible layovers); provided, however, if the winner resides within 250 miles of the Disneyland® Resort, air fare will not be provided to the winner. A voucher for four (4) round trip ground transfers between the Southern California airport and the Disneyland® Resort. Room accommodations consisting of one (1) standard room (with a maximum of four (4) persons per room) for three (3) nights at a hotel at the Disneyland® Resort selected by Disney in its sole discretion; daily parking at the Disneyland® Resort is not included. Four (4) Disneyland® Resort 5-Day Park Hopper® Tickets (subject to restrictions). One (1) Disney Gift Card with a value of $500.00 (winner only). Choice of any Disney PhotoPass™ Service products, valued up to $300.00; fulfilled with a Disney Gift Card. (online registration required). One (1) Welcome Basket in your Disneyland® Resort hotel room. One (1) night stay at the Disney Dream Suite in Disneyland® Park at the Disneyland® Resort with select food and beverage snacks, including breakfast at Plaza Inn OR equivalent One (1) night stay at Disneyland® Resort Hotel luxury suite. One (1) Disney Character Meet and Greet with photo opportunity for your party. Services of one (1) Disney VIP Tour Guide for eight (8) hours on one (1) day. One (1) Fantasmic! Premium Viewing with Dessert for four (4) persons. The approximate retail value of vacation package is $9,894.00. Walt Disney World® Resort. Four (4) round trip coach airfares between the major gateway airport closest to winner’s residence and the Orlando International Airport; provided, however, if the winner resides within 250 miles of the Walt Disney World® Resort, air fare will not be provided to the winner. Four (4) round trip ground transfers between the Orlando International Airport and the Walt Disney World® Resort via Disney’s Magical Express Service. Room accommodations consisting of one (1) standard room(s) (with a maximum of four (4) persons per room) for three (3) night(s) at a hotel at the Walt Disney World® Resort selected by Disney in its sole discretion. Four (4) 5-Day Magic Your Way Tickets with Park Hopper® Option (subject to restrictions). One (1) Disney Gift Card with a value of $500.00 (winner only). One (1) Welcome Basket in your Walt Disney World® Resort hotel room. One (1) night stay at the Cinderella Castle Suite in the Magic Kingdom® Park at Walt Disney World® Resort with select food and beverage snacks, breakfast at Cinderella Royal Table restaurant. One (1) Disney Character Meet and Greet with photo opportunity for your party. Choice of any Disney PhotoPass™ Service products, valued up to $300.00; fulfilled with a Disney Gift Card (online registration required). Services of one (1) Disney VIP Tour Guide for eight (8) hours on one (1) day. VIP viewing for one (1) parade or show for four (4) persons; parade and/or show selection and date of parade and/or show is at the discretion of Disney; based on availability; restrictions apply. The approximate retail value of the vacation package is $13,852.48. Disneyland® Resort. Four (4) round trip coach air fares between the major gateway airport closest to winner’s residence and a Southern California airport as chosen by Disney (with possible layovers); provided, however, if the winner resides within 250 miles of the Disneyland® Resort, air fare will not be provided to the winner. A voucher for four (4) round trip ground transfers between the Southern California airport and the Disneyland® Resort. Room accommodations consisting of one (1) standard room (with a maximum of four (4) persons per room) for four (4) nights at a hotel at the Disneyland® Resort selected by Disney in its sole discretion; daily parking at the Disneyland® Resort is not included. 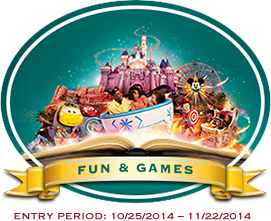 Four (4) Disneyland® Resort 5-Day Park Hopper® Tickets (subject to restrictions). One (1) Disney Gift Card with a value of $1,000.00 (winner only). One (1) Welcome Basket in your Disneyland® Resort hotel room. Choice of any Disney PhotoPass™ Service products, valued up to $300.00; fulfilled with a Disney Gift Card (online registration required). Services of one (1) Disney VIP Tour Guide for eight (8) hours on one (1) day. One (1) Disney Shopping Spree with a maximum value of $500.00. One (1) Disney’s Magical Celebration In-Room decor in your Disneyland® Resort hotel room. The approximate retail value of vacation package is $9,228.00. Walt Disney World® Resort. Four (4) round trip coach airfares between the major gateway airport closest to winner’s residence and the Orlando International Airport; provided, however, if the winner resides within 250 miles of the Walt Disney World® Resort, air fare will not be provided to the winner. Four (4) round trip ground transfers between the Orlando International Airport and the Walt Disney World® Resort via Disney’s Magical Express Service. Room accommodations consisting of one (1) standard room(s) (with a maximum of four (4) persons per room) for four (4) night(s) at a hotel at the Walt Disney World® Resort selected by Disney in its sole discretion. Four (4) 5-Day Magic Your Way Tickets with Park Hopper® and Water Parks Fun & More Options (subject to restrictions). One (1) Disney Gift Card with a value of $500.00 (winner only). One (1) Welcome Basket in your Walt Disney World® Resort hotel room. Services of one (1) Disney VIP Tour Guide for eight (8) hours on one (1) day. Choice of any Disney PhotoPass™ Service products, valued up to $300.00; fulfilled with a Disney Gift Card (online registration required). One (1) Disney Shopping Spree with a maximum value of $500.00. The approximate retail value of the vacation package is $9,914.00. Only registered member of the Kellogg’s Family Rewards program who are legal residents of the fifty (50) United States and the District of Columbia and who are 18 years of age or older at time of entry are eligible to enter and win. To become a registered member of the KFR program, go to https://www.kelloggsfamilyrewards.com/en_US/login.html and follow the instructions to complete the registration. Becoming a KFR program member and entry into the Sweepstakes is free. 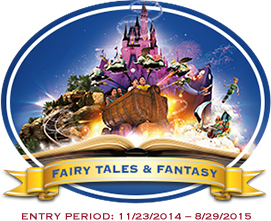 For all entry methods, entries must be received between 12:00:00 AM (ET) on September 30, 2014 and 11:59:59 PM (ET) on August 29, 2015. There is a limit of one (1) entry per one (1) KFR promotion code submitted. There is also a limit of one (1) entry per outer stamped envelope. 5 Sweepstakes That Could Magically Send You On A Walt Disney World Vacation! Kellogg’s Snacks Back to School Instant Win Game : Enter your code at kelloggswin100.com. One winner every hour ! I would like to take my 4 Grandsons to Disney before i get to old.